Until 2004, the track was an oval one and 268m in length with 4 lanes all round and of about 5.5 standard lanes width on the home straight which has an extension to allow for 100m sprint and 110m hurdles races. The infield, at least immediately prior to 2004, is tarmac hockey/tennis/netball courts. The track is thought to have been built at the same time as the school or shortly after but don't know when this was. 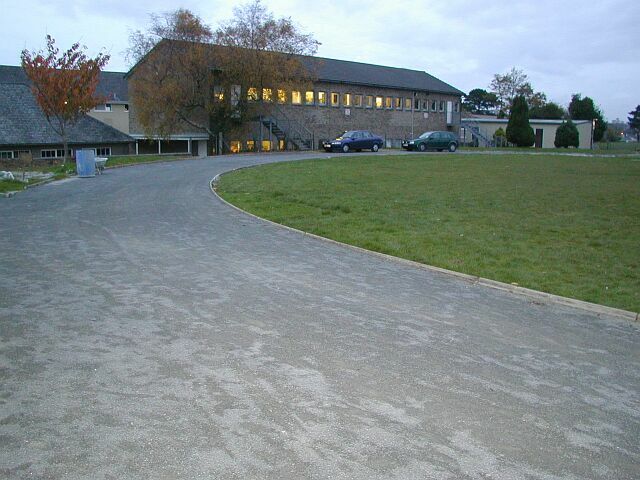 In 2004 all bar the home straight was lost when the rest of the track was converted into car parking and space for temporary classrooms. The track was then in reasonable condition. The track was removed and replaced by a car probably by about 2010.